The Air Lift 25854 LoadCONTROLLER Single, Heavy Duty Compressor is a useful way to control your air spring pressure through analog control. The LoadCONTROLLER controls the pressure of both springs together. It can be customized to fit in most anywhere on a dashboard. 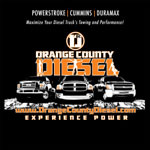 The heavy duty compressor is recommended for frequent use. The AL 25854 LoadCONTROLLER Single, Standard Duty Compressor is easy to install and use with a touch of a button. 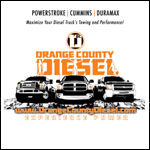 OC DIESEL offers Professional Air Lift 25854 LoadCONTROLLER Single, Heavy Duty installation.